Who we are : Cornerstone Financial Services Inc. Cornerstone Financial Services is a business of relationships built on integrity, competency, personalized service, and longevity within the business world. We passionately believe trust is the most important ingredient in the client / planner relationship, and we work tirelessly to establish and protect that trust with our clientele. One of the ways we accomplish this is through a vigorous and distinctive style of diversification that many of our competitors avoid because of the extra work involved. 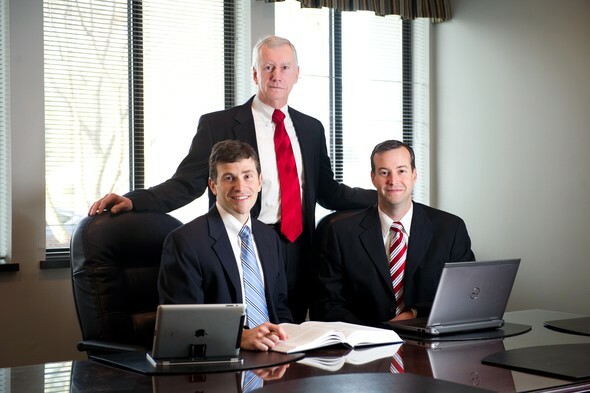 The Rex family at Cornerstone Financial provides over six and a half decades of combined professional experience in the field of counseling clients regarding their financial goals. Our experience spans multiple generations which means that you have access to advisors who intend to walk with you through your retirement years, not just drop you off at the door. Many clients appreciate a relationship with both "seasoned" advisors as well as "youthful" advisors who all bring different strengths to the planning process. Bryan and Adam are members of the Million Dollar Round Table, a worldwide association of insurance and financial professionals. In addition, they are CERTIFIED FINANCIAL PLANNERS ®. Other memberships and associations represented are The Financial Planning Association, the Society of Financial Services Professionals, the National Association of Insurance and Financial Advisors, the Hampton Roads Estate Planning Council and Hampton Roads Gift Planning Council as well as the Financial Services Institute. The Rex family strives to offer meticulous research and ultra-personal customer service because we are a small company and want to know you by name. Cornerstone Financial partners with a vast range of clientele from business owners, professionals, retirees, widows, and others seeking asset accumulation. Once we take the time to understand your objectives and needs, we will search diligently for financial tools that best fit your purpose and budget.